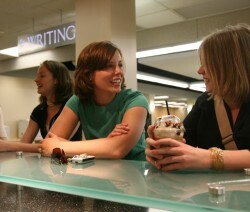 The mission of the ACU Writing Center is to provide an open teaching and learning environment for the collaborative discussion of writing so that people may become more critical and independent writers. Our tutors come from a wide range of backgrounds and are formally trained to provide feedback during all phases of the writing process. 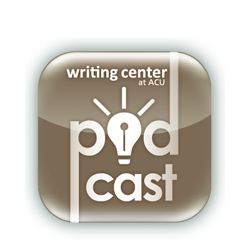 The Writing Center is staffed by both undergraduate and graduate students and is directed by a member of the ACU English faculty; our services are free. c) Providing individual feedback to students developing writing portfolios. d) Offering computer resources for writing research. 3. To offer assistance in all facets of the writing process to the entire community of Abilene, including area college and university students, working professionals, and the citizenry at large.